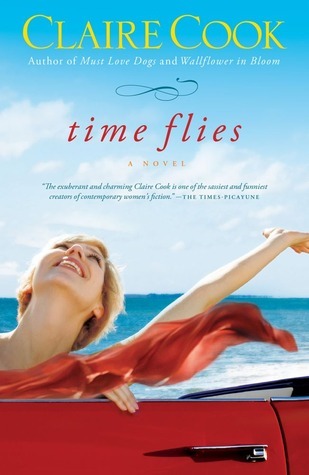 In this heartwarming novel from the bestselling author of "Must Love Dogs" and "Wallflower in Bloom," a recently separated woman faces her highway driving phobia and takes a road trip with her best friend to their high school reunion.Years ago, Melanie followed her husband, Kurt, from the New England beach town where their two young sons were thriving to the suburbs of Atlanta. She's carved out a life as a successful metal sculptor, but when Kurt leaves her for another woman, having the tools to cut up their marriage bed is small consolation. She's old enough to know that high school reunions are often a big disappointment, but when her best friend makes her buy a ticket and an old flame gets in touch to see whether she'll be going, she fantasizes that returning to her past might help her find her future...until her driving phobia resurfaces and threatens to hold her back from the adventure of a lifetime. I had high hopes for this novel and although there were aspects of Time Flies that I liked I found it slow and difficult to get attached to in the end. The main character, Mel, was undeveloped. I didn't really feel for her and given that she'd just been through a separation from her husband it could have been made more of so we had that feeling of sympathy for her. I loved her artistic sensibilities and the fabulous sculptures she made throughout the novel but that was really the only thing that gave her any personality. Cook made a particular point of describing the sculptures so that themselves came alive but I wish she had put some more time into the relationships with Mel’s sons, her friends (apart from best friend BJ) and her sister-more background about her sister and their growing up would have helped me immensely. The road-trip and high school reunion were fun and I liked all the references to songs from their school years but there wasn’t enough about their friendships. Also peculiar for me was the developed fear of highway driving- it was made a point of but never delved into - just brought up and then somehow she copes with driving when BJ takes a nap? Other things came in and out too: the contact with her ex, the email flirting with the ex from high school, the constant eating of French fries, all of these things were peppered throughout the story but didn’t do much for me to link the people together. My favourite character was the man who bought her sculpture for his restaurant but he wasn’t given enough time in the book. All in all I'm still not entirely sure what the focus of the story was supposed to be- a voyage of rediscovery or a story of friendship? Either way it left me a bit bored I’m afraid- not what I would usually expect from Claire Cook- I’ve read her novels before and enjoyed them so this one was a bit disappointing.